Hello everyone. Today we’ll be discussing some of the best accessories around for both men and women. A watch is one piece of accessory that never ever goes out of fashion. No matter what outfit you wear, adding in a watch, adds much more grace and class to the final look. One of the best places for such timeless gems is the GearBest Shop. Firstly their policies are really simple and customer satisfaction is their top priority. There’s an extensive range of options to choose from and the products of course are delivered to our door steps. Moreover, 45 days money back guarantee option is available in case of any issue. The best part however is that right now they are celebrating their second anniversary and on this occasion, loads of amazing deals are available. Find out here about these offers and avail the best ones as soon as possible since they are for a limited time only. There’s also a special activity organized for watches and jewellery that you definitely need to check out here. Remember that the activity time: starts 17: 00 UTC 21st March to 25th March. Coming towards jewellery, a girl always needs to know what makes a specific brand’s jewellery so special. Well in this case, it’s their uniqueness which makes the jewellery special. There’s jewellery for everyone, depending on your own personal style and you can always find something that will make you stand out from the crowd. 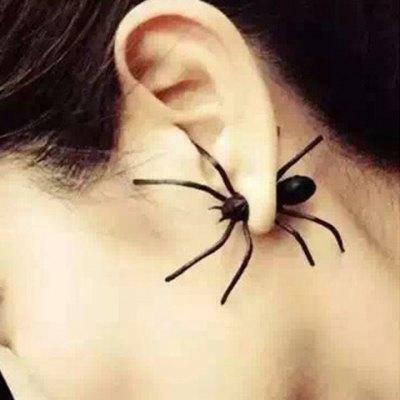 For instance, check out this unique spider shape earring that I absolutely loved! Imagine wearing these with a black outfit to any party, you will definitely look gorgeous. Then there’s this trendy moon shape necklace. And a retro Butterfly printed bracelet for women. Apart from these there’s also a huge collection of women watches that can be worn for casual wear as well as special occasions. Have a look at some of them. Here are some great accessories they have for men. Do explore their website for a number of other options. So without wasting any more time, check out these and many other exciting offers at their website. Here’s a short video to help you understand how to buy in Gearbest.